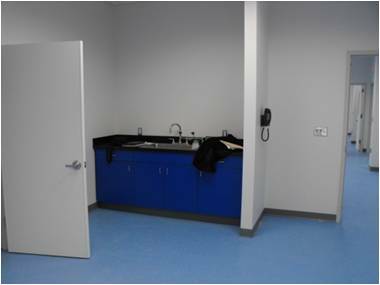 EI recently assisted Maquet with the design of four training rooms, each measuring approximately 20’ x 25’, within a large open area adjoining the existing Demonstration Room areas at the Wayne Training Center. 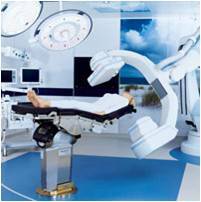 The training rooms support customer training activities for the use of surgical suite equipment. 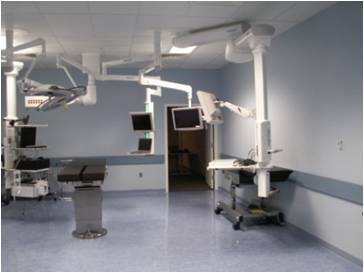 Each training room was designed to support truss mounted medical equipment, similar to configurations found at equipment trade shows. The free-standing truss frames independently support all equipment without additional need for ceiling supports, hangers or other forms of attachment to the building structure. The equipment is typically organized along the room perimeter to permit training tables in the center of the rooms. 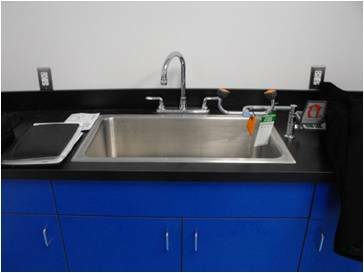 EI coordinated the design and configuration of training room power and lighting requirements with furniture and equipment arrangements.